The mayor of a Michigan city that is raising taxes to pay a $1.4 million settlement in a police misconduct case admits the plan places an unfair burden on residents. Inkster, Michigan, property owners will see the one-time tax increase on their July bill, the city said this week. For the owner of a home worth $55,000, it will amount to about an extra $180, according to the Detroit Free Press. The funds collected from the summer millage are expected to fully cover the settlement in the civil suit brought by Floyd Dent, a Detroit auto worker who was hospitalized for three days in January because of injuries he sustained during an Inkster traffic stop. Photos of Floyd Dent's injuries provided by his attorney. Dent’s attorney first confirmed the civil settlement last week. Inkster Mayor Hilliard Hampton said that continued financial problems and oversight from the state make it necessary to resort to levying a tax on residents to pay the $1.4 million. Inkster is a small, majority black suburb west of Detroit. Nearly 40 percent of its residents live below the poverty line. The city has previously collected one-time taxes to pay settlements in the last few years, though Dent’s is the largest. When officers pulled Dent over, they pointed a gun at him, forced him to the ground, kicked him and used a Taser on him, as shown in a dashcam video. 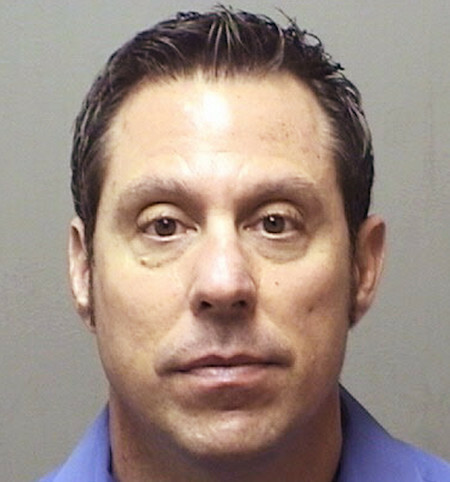 Former Officer William Melendez, who is seen in the video repeatedly punching Dent in the head, choked him until he couldn't breathe, Dent claims. The mayor stopped short of criticizing the police department, but said having an interim chief in place for an extended period -- Vicki Yost, who resigned in April -- had created an unstable environment without clear lines of authority and allowed rogue officers to make bad decisions. Cities across the country pay millions annually to settle police misconduct lawsuits, with the tabs eventually picked up by taxpayers; Detroit has spent more than $27 million since 2008, according to WXYZ. But the cost of bad policing is perhaps more visible in the Inkster case, when residents will see the amount they owe on their next tax bill. “It’s a stark reminder that police brutality has real consequences, not just for the victims who are physically hurt by it, but for the residents of the community that the police are supposed to be serving,” said Dan Korobkin, deputy legal director at American Civil Liberties Union of Michigan. “The anger and the frustration is at the administration and the police department for not having any discretionary hiring practices in the first place," she said. William Melendez photo via Michigan State Police/AP. Linton said she was encouraged by the changes that had already occurred in the police department. Melendez was fired and will face a criminal trial on assault and misconduct charges. Linton said new interim Chief Joe Thomas has been proactive about meeting with her group and listening to citizen complaints. Korobkin said the settlement could be a “wake up call” for Inkster residents to push for institutional changes to curb misconduct from the outset, such as better screening processes for police and more training. “They shouldn’t be expected to tolerate police officers who can’t follow the law, and they shouldn’t have to tolerate leadership that’s unwilling to hold officers accountable,” he said. Floyd Dent, second from left, stands with protesters as they rally in front of the Inkster, Michigan, police station Friday, April 3, 2015. AP Photo/Carlos Osorio. The forthcoming tax is one of many costs that have fallen to residents of Inkster as the city has made cuts to eliminate its deficit over the last three years. The school district was dissolved in 2013 over debt and declining enrollment. In the last several years, the police department has been cut by more than half and other city administration staffers have been laid off. Though the city is now running a surplus, Hampton said it’s come with consequences for residents. The mayor criticized the state agreement for requiring cuts that don't help the city grow.